On June 18, 2004, an unusual new landmark was unveiled at CERN, the European Center for Research in Particle Physics in Geneva, a 2m tall statue of the Indian deity Shiva Nataraja, the Lord of Dance. 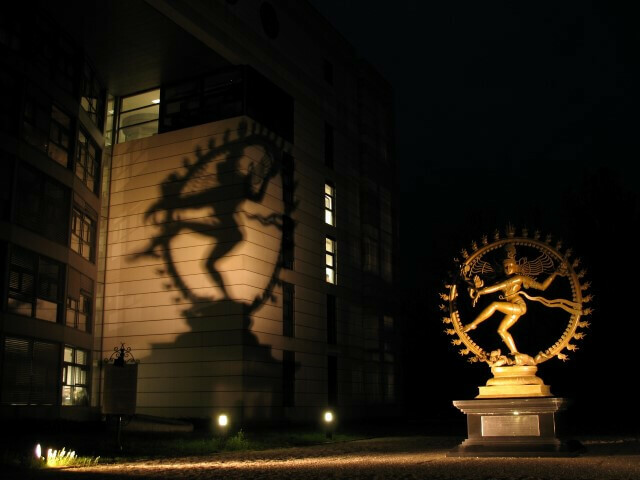 The statue, symbolizing Shiva’s cosmic dance of creation and destruction, was given to CERN by the Indian government to celebrate the research center’s long association with India. The plaque begins “Nithyaya” – O The One Who is Eternal. O Shambu – I Salute Thee!